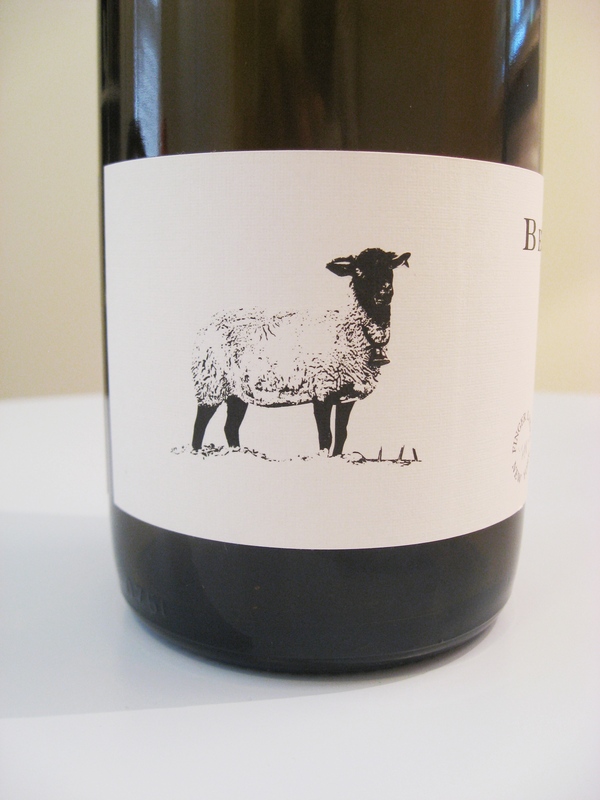 Tasting Note: Bellwether rieslings share a distinctive golden pear and yellow apple doused-in-citrus nose. Like its siblings this riesling too is slightly sparkling with small bubbles resting on the sides of your glass – again, an unexpected but very welcome treat. The aromas on the nose continue in your glass with added flavors of peach and melon and lemon-lime citrus. This is a decidedly bone dry riesling with high acidity and pronounced minerality that could serve well as a red-wine drinker’s white. Acidity hits your tongue at the 40% point of the taste. Fruit drops out leaving behind an austere white grape flavor that reveals the essence of the grape itself. A chalky nose gives way to less chalk on the palate than hinted. This wine is different, refreshing and worth trying to broaden your spectrum of experiences with the dry-riesling style.